We're always happy to help you find genuine parts and accessories you've been looking for. Top-notch after-sales service you can trust to keep your boats and outboard motors running non-stop. War Eagle Boats: Click here to view the models. 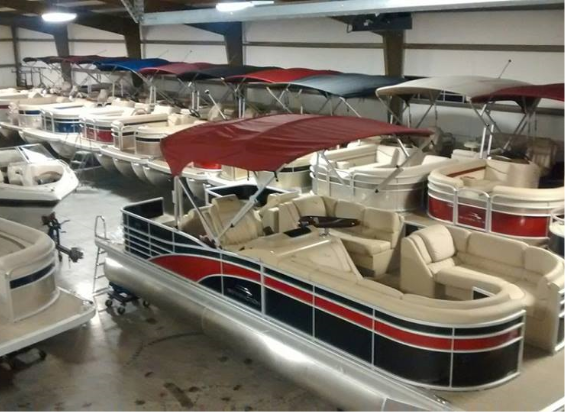 Our 50-boat showroom boasts several boat lines, including the #1 pontoon line in the US: Bennington. For your hunting and fishing needs, we carry War Eagle and Weldbilt all-welded aluminum boats. Our showroom is also stocked with Bass Cat fiberglass bass boats, which have been rated #1 in customer satisfaction by J.D. Powers and Associates for the last five years.